With Summer here and Father's Day on the horizon, we all need some new inspiration for a full summer of grilling and cooking out! We just need some fresh new ideas once in awhile to inspire us for meals in the heat of summer and parties or reunions without heating up the kitchen! 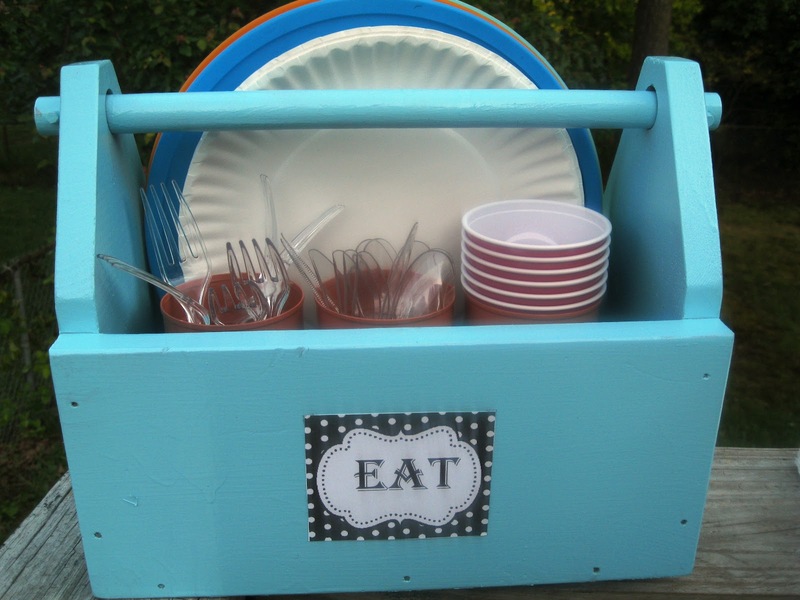 One of my time saving tips for quick dinners at home or on the go for the summer is a my picnic caddy. I keep it filled all summer at home and we can grab it to take in the car too. you can use paper disposable products or reusable dishes too. It's easy to make! 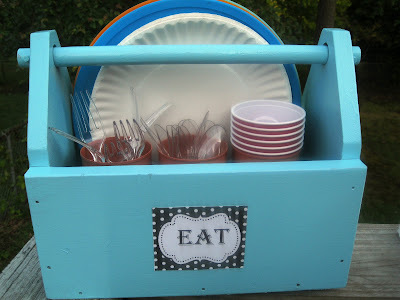 I'll share the how to link, but just find a basket or wooden caddy with handle, glue in 3 recycled tin food cans (I spray painted them) to hold the utensils and cups near the front of the basket, and then leave room behnd them for the plates and napkins. DONE! Celebrate 365 Blog Party is hosting a Recipe Round Up! Feel free to come on over and link up your favorite recipes for grilling, bbqing, picnics, etc. Meats on the grill, Veggies, and desserts to grill are fair game! Dishes that start out with a grilled item are perfect too! grilled chicken salads, or pasta salads with grilled veggies, etc are great inspiration! Come on and share your best with us! Here's how we try and support you: We Pin all links to our Pinterest board, as well as try and create one recipe round up post with the top visited links to share on all our social medial pages! Well, my cake isn't a grilled dessert, but it's been a hit at many a barbecue, potluck, any kind of large gathering! Thank you for hosting.